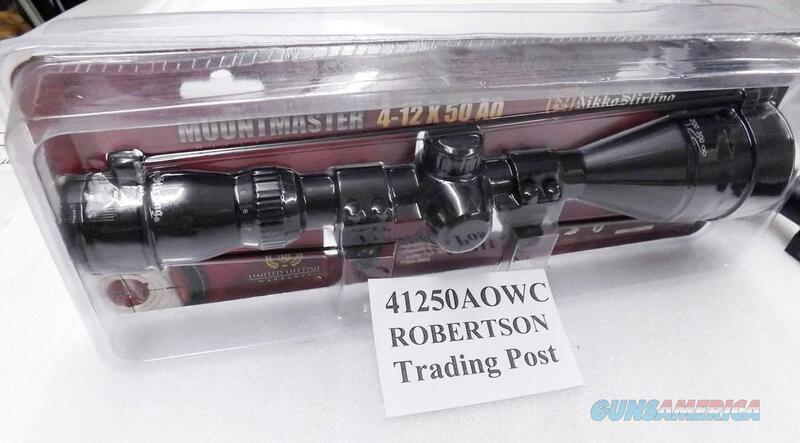 Here is Nikko Stirling's Mount Master Scope with HMD Mil Dot reticle, in 4 to 12 power variable, with 50 mm Adjustable Objective Lens. Manufacturer is Nikko Stirling International Trading Ltd. of Shanghai, People's Republic of China, where all Nikkos are made. 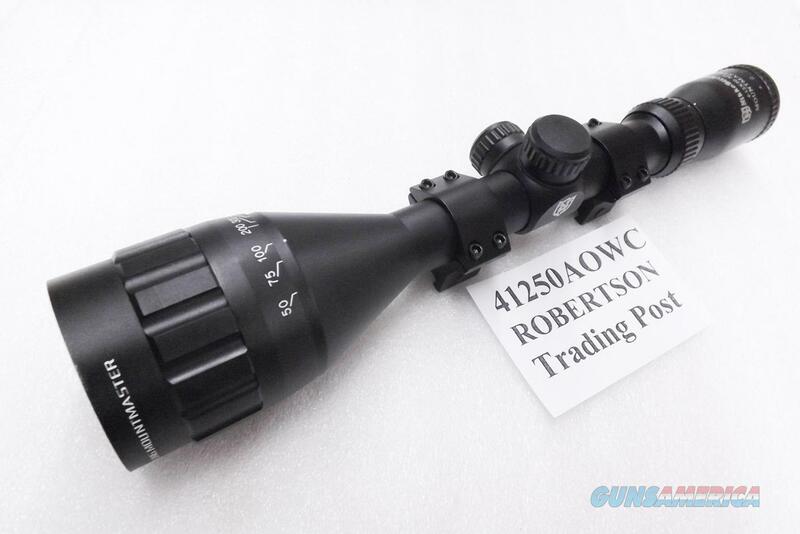 Importer and warrantor is Centurion division of Legacy Sports of Reno, NV, importers of several top brands including Howa Rifles. 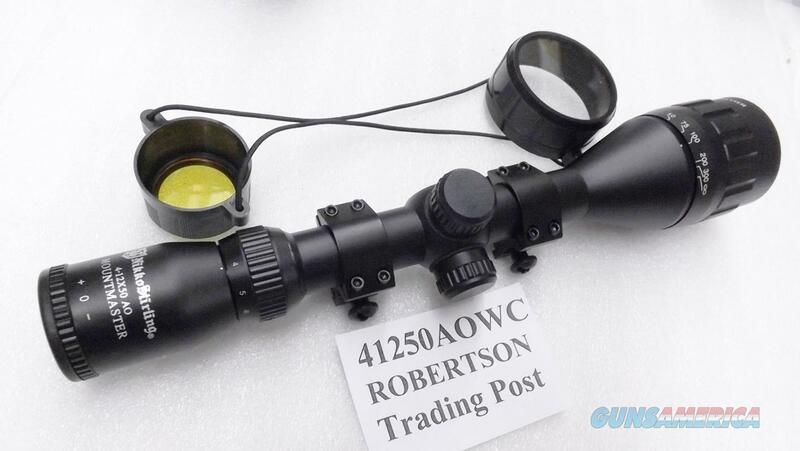 Construction is two piece aircraft grade aluminum alloy body and objective bell, with 1 inch main tube diameter. Main tube gives 5 1/8 inches for ring placement, and overall length is 13 inches. 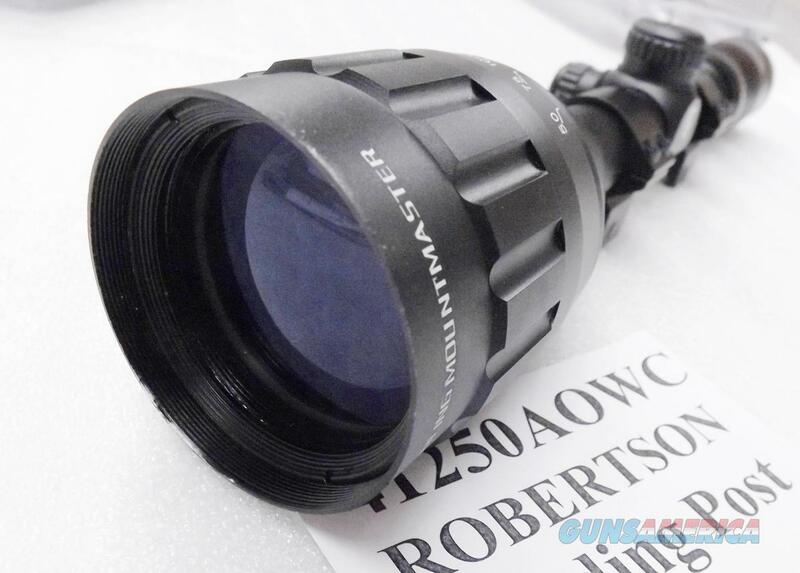 Objective lens measures 50mm. 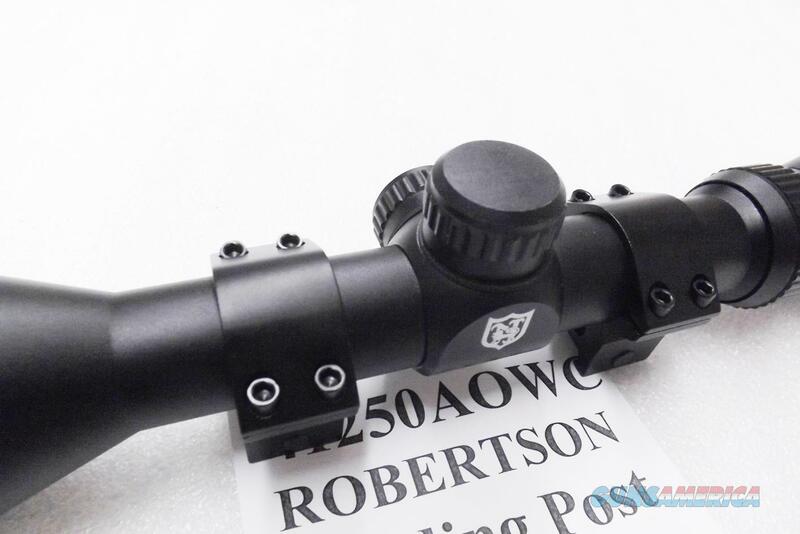 Eyepiece is polymer armored 32 mm. Adjustments are click type 1/4 inch increments. 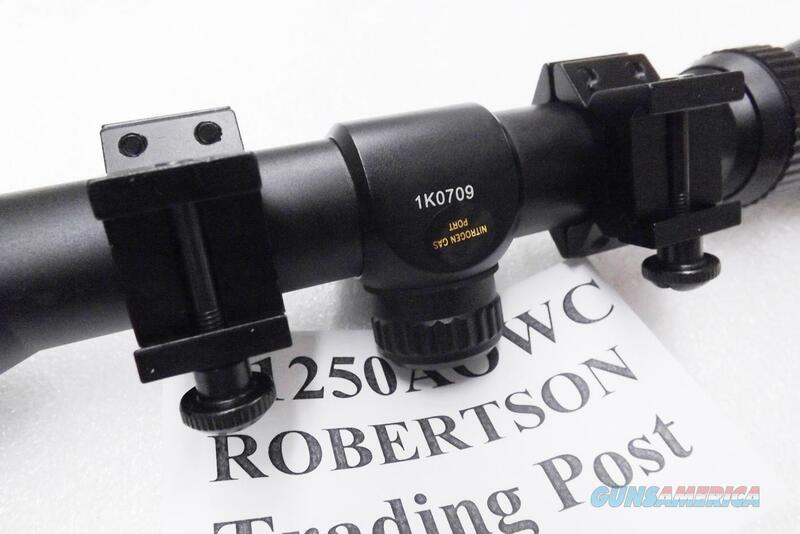 Field of view is 31.5 feet at 100 yards on 4x magnification, down to 10.5 feet on 12x. Eye relief specs give 3.25 inches, but our photographer claims to get 5 inches of full picture. 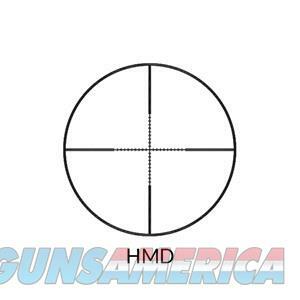 Crosshairs are HMD Half Mil-Dot Long Range calibrated. 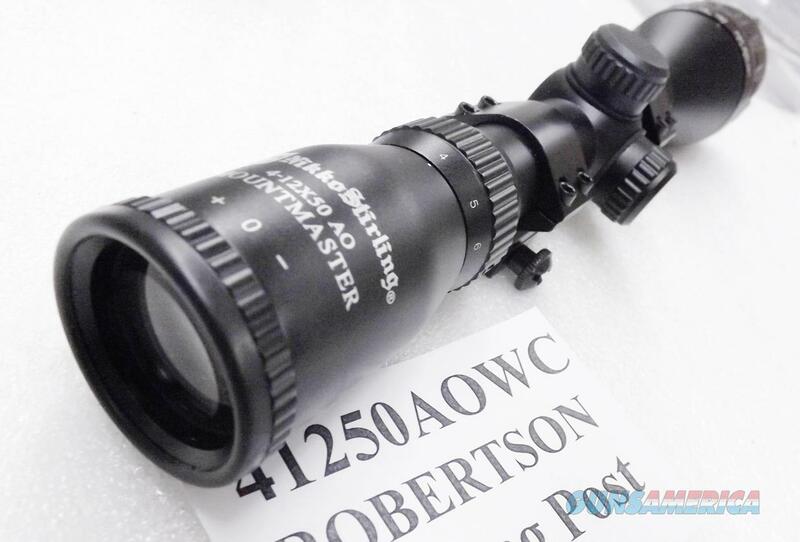 Eyepiece and objective lens are both adjustable; eyepiece parallax goes from 10 to 1000 meters. Weight with rings is 21 ounces, centered at the forward edge of the turrets. Finish is factory black matte. 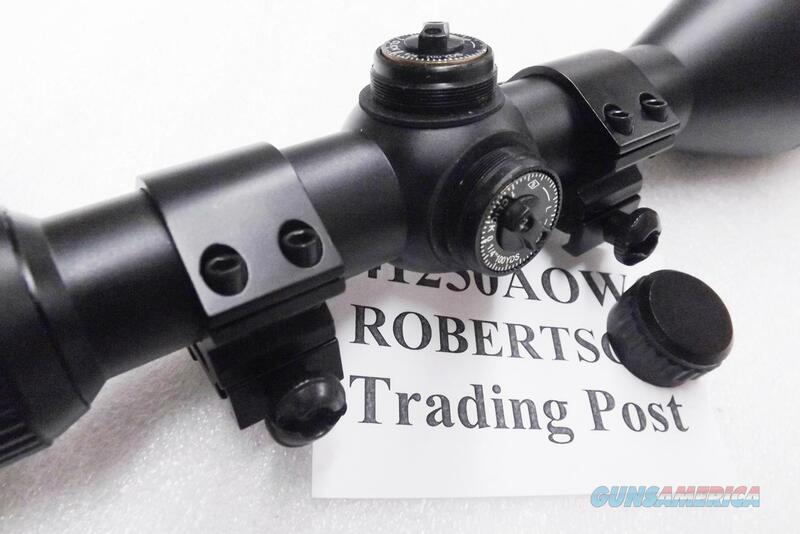 Each scope comes in its factory package with 4 steel screw top Weaver type alloy rings, as the photos show. 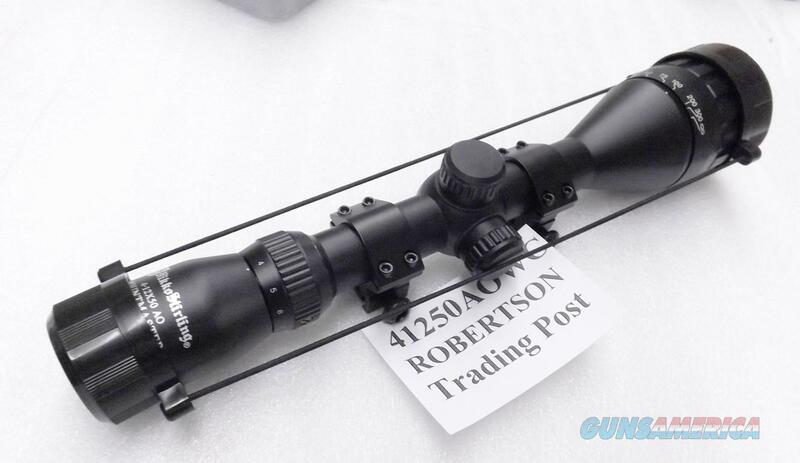 Similar scopes from competitors sell for upwards of $500 apiece, even more. We're offering the Nikko Stirling 4x12x50 in the photos, however, or one of its identical mates,	for only	$ 59.00.